Summer Registration will begin on March 18 and continue until we have 20 student enrollments. 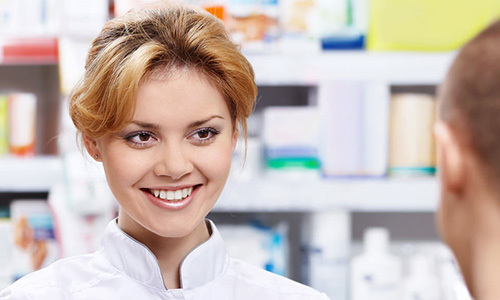 This comprehensive 50-hour program will prepare students to work as a pharmacy technician in a retail or other pharmacy setting and to take the Pharmacy Technician Certification Board’s PTCB exam. Course content includes pharmacy medical terminology, the history of pharmacy, the pharmacy practice in multiple environments, pharmacy calculations and measurements, reading and interpreting prescriptions and defining drugs by generic and brand names. Through classroom lecture and hands on labs, students will review dosage calculations, drug classifications, the “top 200 drugs”, I.V. flow rates, sterile compounding, dose conversions, aseptic technique, the handling of sterile products, total parental nutrition (TPN), dispensing of prescriptions, inventory control and billing and reimbursement. In addition to classroom lecture and labs, this program includes a clinical externship through a local pharmacy. Clinical Externship: Upon successful completion of this Pharmacy Technician program, students are eligible to participate in an 80-hour clinical externship with a local Retail Pharmacy. Students maybe asked to submit to a thorough background check, drug screening and meet other requirements at their expense. Program Fee does not include cost of the PTCB exam. The PTCB National Certification Exam is proctored at Pearson Vue sites. Education Requirements: Students must have a High School diploma or equivalent. Click Here for the Online Pharmacy Technician Program? For information about this program, please call Diane Peck at 256-306-2515.